I have a textarea which presents a couple of colors with alpha and both are washed out. I also use a canvas with a png backdrop of the SAME color. This is the image of the png. They are significantly different. Why? Do you want solid red? If so, why use an alpha? · Arthur G and Tim P like this. 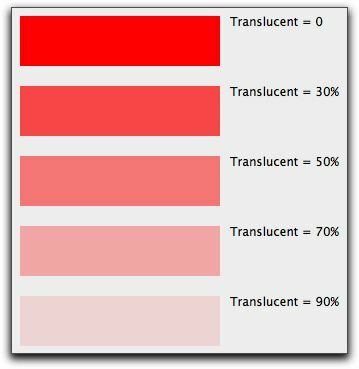 If you have a colour with transparency (208 in your case) the colour that was there before will have an effect on your red, in your case a white was in the background first so the red will be slightly mixed with white, thus making the pink you see. If you had the colour on a black background, the red would look darker. · Arthur G, Dave S and Tim P like this. Oh. I had the values for the alpha backwards.